​​Movement Matters is an absolute and essential treasure for movement organizations here in DC. They have once again been critical in developing the pedagogy and approach by which MLOV (Many Languages One Voice) recruits its members and develops its leaders. Today I was asked by another organizer, 'Who shaped your political consciousness?' The first two names on my lips were, Marta and David. ​​Marta Vizueta Bohórquez is a popular educator and community organizer in Washington, DC, and is a principal and co-founder of Movement Matters. She brings extensive experience in working with grassroots community groups and in supporting the development of social justice organizations with strong core values and administrative capacities. 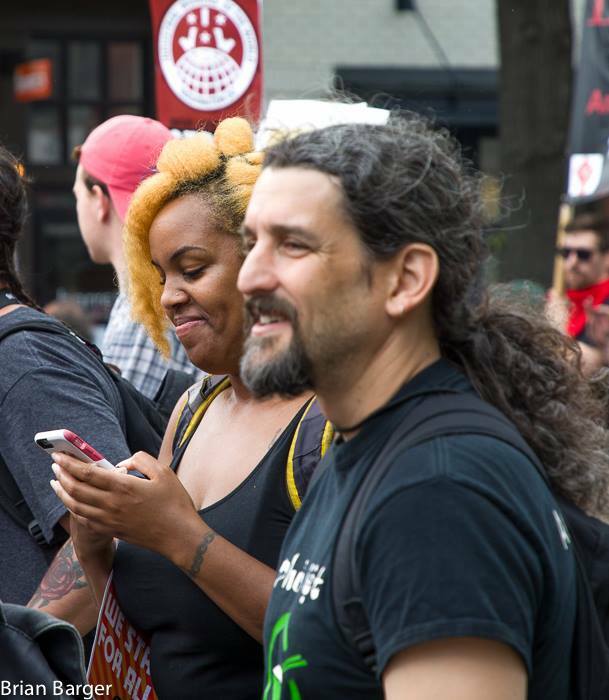 Marta believes in movement building and in the necessity to develop networks and supports for other progressive organizers and grassroots community leaders in the city. 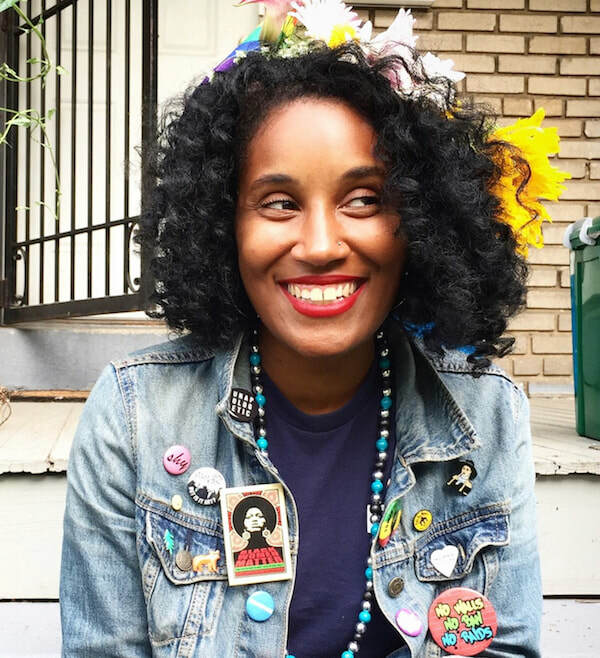 To this end, she developed the Kressley Initiative, the first program of its kind in Washington, DC, which directly trained and provided tailored technical assistance to local community organizers and their respective institutions. She also created the annual Shaw Freedom School, a yearly tri-lingual event in Washington, DC, bringing community members (Central American, Chinese and Black) together for a day of learning circles, capacity building and cultural sessions based on current issues affecting their communities and families. Marta has also been key in developing popularized/culturally competent training manuals including, Building By Building: A Tenant Leadership Manual, and Putting the Movement Back Into Civil Rights Teaching—a project that grew out of her work in curriculum development and education organizing. In the DC public education arena, Marta’s successful parent engagement/leadership development and initial organizing work earned national recognition and continued Ford Foundation funding in the early 2000s. Under the auspices of Teaching for Change and the DCPS Department of Multicultural Education/OCR Compliance, she also developed a fully funded program to support the training of DC teachers and lead teachers/mentors around multicultural education and anti-racism. 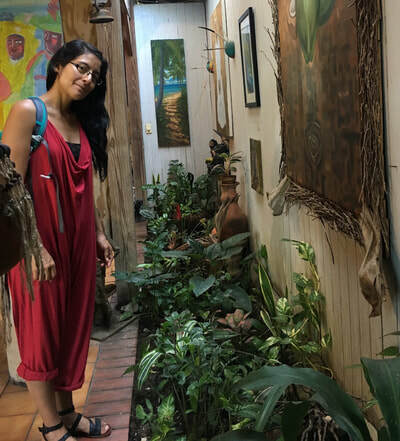 Marta is fluent in both spoken and written Spanish and English, and brings expertise in the development of administrative and programmatic systems to support sustainable community-based organizations. In her other work Marta is a dance instructor and doula. ​David S. Haiman is a principal and co-founder of Movement Matters. David’s experience of over a decade in community organizing, strategic planning, facilitation, and non-profit management has helped Movement Matters to develop into an effective and dynamic capacity building organization. Since Movement Matters’ inception in 2007, David has brought his expertise to a variety of projects, including program, organizational, and curriculum development, implementation, and evaluation for local organizations including the Fair Budget Coalition, the Youth Education Alliance, the Latino Economic Development Corporation the Collaborative for Education Organizing, and Community Bridges, as well as national initiatives of groups such as NeighborWorks America and the Nellie Mae Foundation. These projects have included visioning and strategic planning for new program areas, Board development, deepening organizational capacity for community organizing, developing and refining leadership curricula, and direct skills training of staff. David was part of the Annenberg Institute for School Reform team that provided technical assistance to community-based organizations and school districts receiving planning funds from the Nellie Mae Foundation District Level Systems Change initiative. In this role, David assisted school districts and their community partners in Rhode Island and Massachusetts to develop community engagement plans that assist the districts in implementing a student centered learning model for education reform efforts. Additionally, David designed and facilitated a community engagement process for the DC Public School system, engaging parents and community members in conversations designed to refine DCPS’s approach to building relationships with communities. David has also worked with unions including Local 400 of the United Food and Commercial Workers Union in their ongoing efforts to redesign their management and staff structure. He assisted the leadership at Local 400 in redeveloping their organizational chart, developing cross-department communication mechanisms, and facilitating the development of a cross-department team management approaches. David serves as a trainer and facilitator for groups ranging from NeighborWorks America to the Social Action and Leadership School for Activists. He trains on a variety of topics related to community organizing and social justice, including: Developing Cultural Capacity, Community Organizing for Policy Change, Leadership Development, and Equitable Community Development. In addition to these training roles, David is also an adjunct faculty member at the Catholic University School of Social Work, where he teaches community organizing and provides site supervision for students doing their field study in community organizing. Before helping to start Movement Matters, David spent over 9 years at Organizing Neighborhood Equity (ONE DC; formerly Manna CDC), starting as a staff Organizer and ending as the Associate Director and Director of Community Organizing. In this capacity, he worked with community residents and the ONE DC Organizing Team to initiate, fund, and grow new organizing projects to increase residents’ control over development in their neighborhood and to increase the community’s capacity for sustainable organizing that addresses long-term, systemic issues of poverty. Under his leadership, the organization involved hundreds of residents in efforts that created the District’s first resident-led comprehensive community benefits agreement; secured commitments for 92 units of new, very affordable rental apartments; and developed and funded, through City legislation, a $2 million training and hiring program for living wage jobs created in new development. As a Management Team member, David led and oversaw the transition of Manna CDC to the fully independent organization, ONE DC, managing all organizational development areas including fundraising, strategic planning, community-based board development, and staff development. Prior to his work at ONE DC, David received his Master’s Degrees in Social Work and Public Policy from the University of Michigan and was a community organizer through the VISTA program in the Phoenix area in Arizona. David is fluent in spoken and written English and proficient in spoken and written Spanish. Brittney Washington is an art therapist, cultural organizer, and a facilitator helping groups and organizations to understand and dismantle systemic injustice. Brittney's work is informed by years of experience in non-profit program management, the study and application of community organizing principles, and a commitment to racial equity and anti-oppression work. Her approach includes prioritizing individual and community healing, creating opportunities for transformative relationship building and accountability, elevating anti-oppression discourse and strategy, and seeking to understand the capacity of art to shape meaning and shift power. Brittney co-developed the Racial Equity Working Group at Miriam’s Kitchen (Washington, DC), wrote and implemented the organization’s Racial Equity Self-Assessment, and is currently working with Senior Leadership to create a permanent Racial Equity and Inclusion staff position. Over the past three years, she has offered consultation and guidance to other non-profit organizations working to adopt racially-equitable culture and practice. This process has included co-designing culture shift, shaping systems and policies, leadership coaching, redesigning organizational approaches to community work, and promoting authentic relationship development. 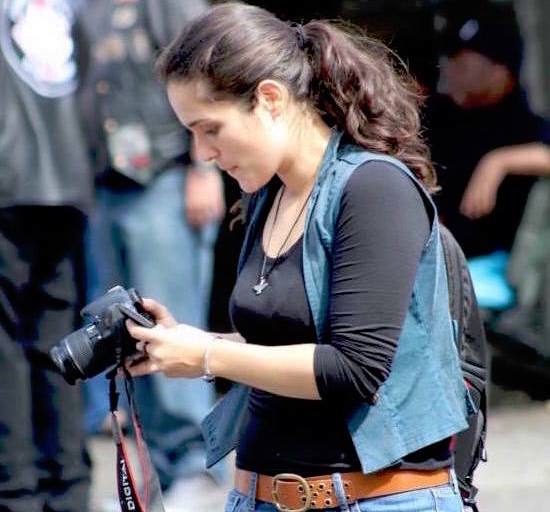 Karina Hurtado-Ocampo is a media maker and educator from Queens, New York. Her work in media production focuses on advancing the narratives of organized communities and creating art that facilitates the birth of our rebel world. Movement Matters is also made up of visionary, courageous movement builders that collaborate and/or volunteer in order to make change happen in our communities, regions, and throughout the nation. We are thankful to create and sustain together.